Denel is structured as a Corporate Office, which operates as an Investment Holding company with a number of specialised Business Divisions in its business portfolio in which Denel holds all or the majority of shares. 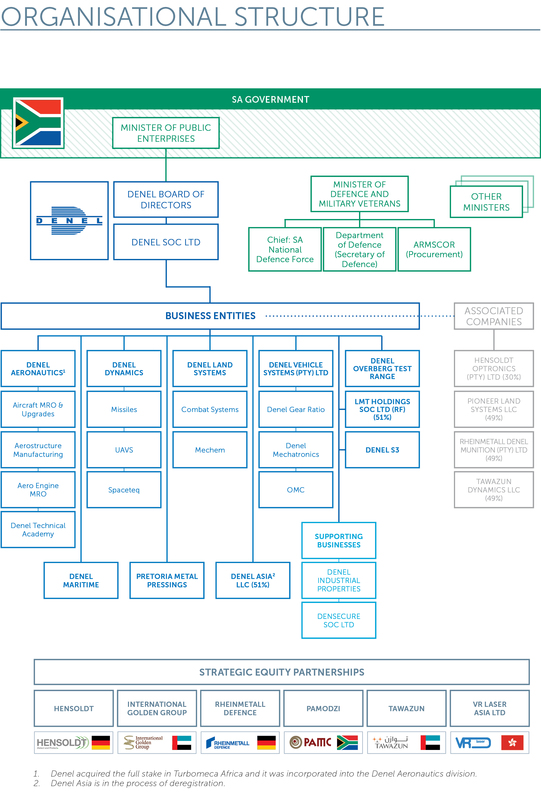 These Business divisions operate as independent entities under their own management structures. Denel also owns minority shares in a number of associated business. Please download the document below to view the group structure.